Whatever it is you’re doing, whether it be adding a new cushion to a sofa or building a skyscraper, you will think about how you want it to look. Some people are more aware of this than others, whilst some do it without even thinking. I see designs and plans on a daily basis for people building homes or planning extensions and very occasionally even for garden sheds/man caves/garden rooms or whatever you want to call them. The plans range from extremely professional on huge A1 sized paper, that I struggle to fit onto my desk, through to quick sketches drawn on scraps of paper. The professionalism doesn’t affect the quality in the slightest. It is always great to see fantastic designs that are functional that still look amazing. A good design is something that has been well thought out to match to a specific set a guidelines. Functionality seems to be at the forefront of the design trends at the moment. People like to push the boundaries of convention and like to have spaces and furniture that are adaptable. 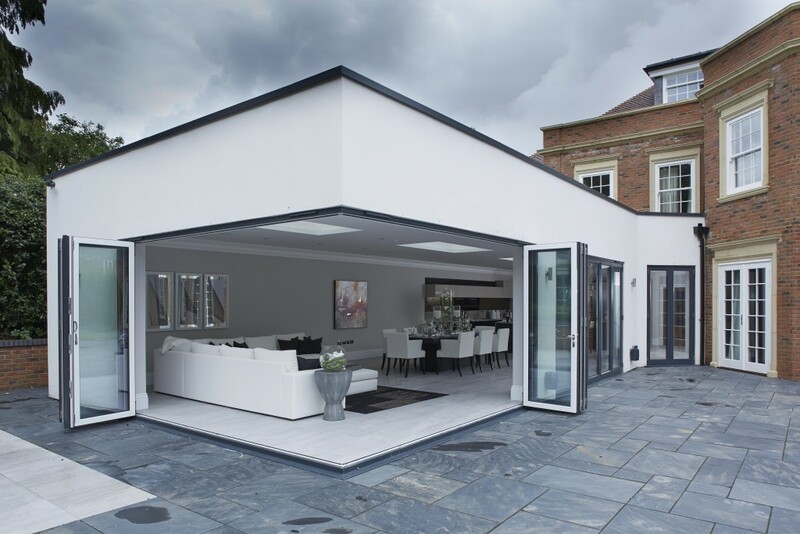 Bi-fold doors and sliding doors are being incorporated into these living spaces. By using such products, you have the ability to remove entire walls and create flexible living space. 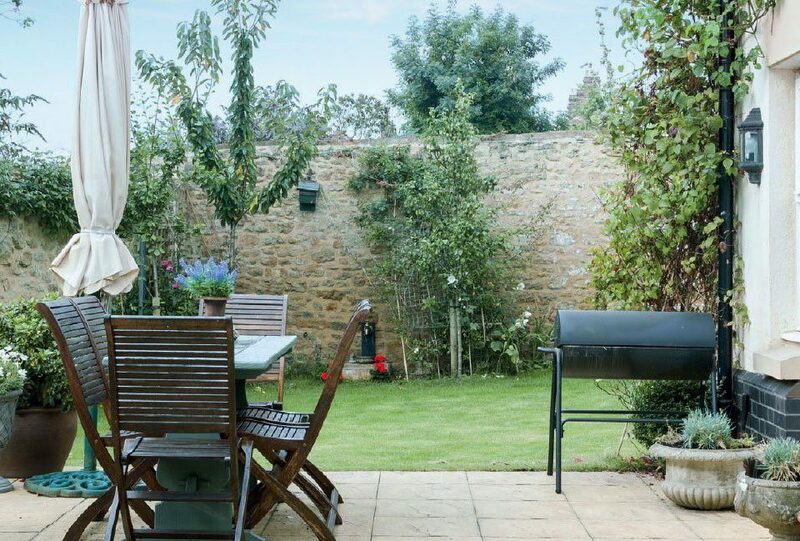 Although the weather in the UK is extremely temperamental at the best of times, on days when there is good weather, people are now able to use there outside space as extra living area. These products also allow so much more natural light into a room. By increasing the view out, people perceive a home to be larger in-turn increasing it’s perceived value. I love to see homes where kitchen and dining spaces are combined as this increases the usability of a room for socialising. To sit down around a kitchen island whilst somebody is cooking dinner makes the room more enjoyable. 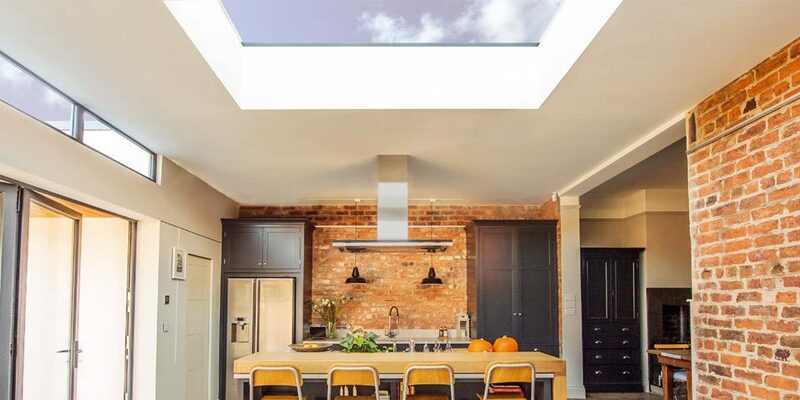 To expand on this and use bi-fold doors or sliding doors that then remove part or most of a wall to the outside, this increases the potential for a sociable kitchen space. Then to incorporate a level floor outside to make the transition seamless increases the usability of the area again. No longer do you have a kitchen, dining room, patio area that when somebody is in either of these spaces feels alone, but but bringing them all together you have one space that is enjoyable to be in and where moving between areas doesn’t mean that you can’t continue being sociable. Knowing what is achievable is a great starting point! Time and time again we see fantastic designs but a lot of what is being designed doesn’t match regulations or is outside of certain limitations. Recently I was asked to quote for a set of sliding doors that slide away into the cavity. This is a fantastic idea yet the practicalities of it aren’t quite so great. There are many things to take into account when designing such ideas. The biggest part of this designer had overlooked (on this occasion by the architect) was firstly the weight bearing above the sliding doors and the span of the supporting steel. Another part that was overlooked was the cavity between the wall to accommodate another pane of glass and how this would be installed. 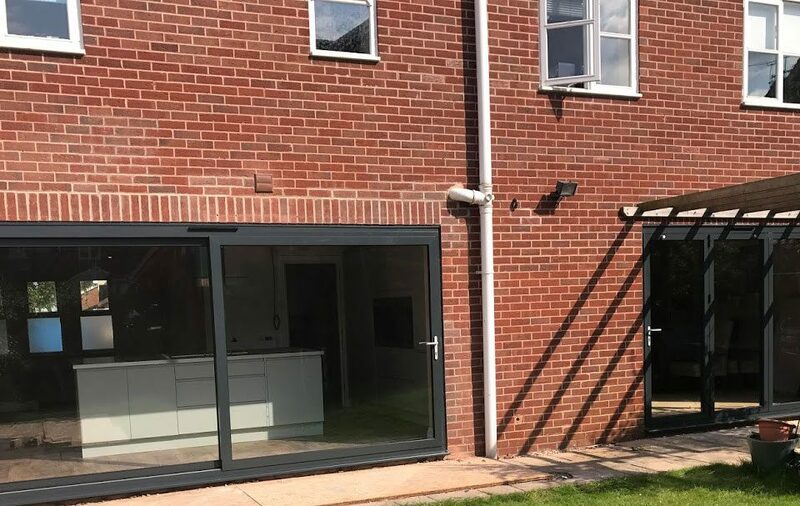 To achieve what was wanted and to make it pass building regulations, the only way we could offer this to the customer was to cloak the doors at the side. By doing this we are able to ensure that it meets thermal efficiency standards as well as maintaining adequate weather ratings. There are ways of achieving a well performing end result but if the design hasn’t been well thought out from the beginning through to the install and finally to the end result then there will often be huge changes that need to be made. These changes can work our extremely expensive depending on what stage of the build you’re at. We often get customer come in and see us to get advice, even before planning permission has be applied for. We get quite a few architects come to see us to get advice about different aspects of what we are able to provide. This ranges from different glass specs and solar control, ways to increase sound insulation, frame and opening limitations, paint finishes and aesthetics and a whole range of other queries. By working together with your architect or yourself when you are designing your build, we are able to recommend products or changes to the structure to accommodate for what you’re looking for.